Alternagy the Online Store For Solar Panels, Solar Systems, Wind Turbines, Storage Batteries, Charge Controllers and Inverters. Alternagy has been designed for the eco-friendly consumer to purchase all solar and wind related products from the comfort of their home. We strive to deliver green alternatives to help provide healthier living without compromising on quality. There is a serious global need to reduce carbon emissions and greenhouse gasses and we have never been more aware of the consequences as we are now. Our site has been carefully designed not only to be a “Go Green” store but also a hub of information around green living. With thanks to our enviro-sensitive supplier base we can offer the public an excellent product line at reduced rates, with many Go Green products listed at below recommended retail price. Standard company warranties apply. 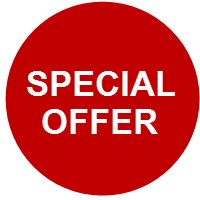 This offer is for Pallet price only and cannot be sold as single modules. Subject to availability from each location. The WFA6 is capable of producing up to 60 litres of water per day. Producing both hot and cold water this is ideal for any office wanting to replace the old style cooler! Imagine just for a moment harvesting your own soft, purified water for your customers, staff or in your own home. Our bodies are made up of 75% water, and we often forget that water is the most valuable, precious and life saving resources we have. As the worlds population and cities expand, the threat to our pure drinking water has increased. We now look to tap water or bottled water to supply us with drinking water. The challenge we have though can range from drought, ageing infrastructure, pollution and trusted bottled water suppliers. All these combined have put us in a position that we may not be able to trust what we place in our bodies in terms of water. The WFA6 is essentially a purification plant that is a plug and play. The machine draws water vapour straight from the source (the air) and converts this into water. This water then passes through a sediment filter, carbon filters, TCR filter and reverse osmosis. It is also sterilised thoroughly through 3 UV lights, removing pathogens, algae and bacteria. The water produced is pure, safe drinking water that is safe for your body, soft and great tasting! Once the lower tank is full, the water passes through a sediment filter, and then through pre carbon and post carbon filters. ALSO AVAILABLE IN A 32L MODEL. The water produced starts out cleaner as it comes from the vapor / humidity in the air that we breathe rather than dirty, contaminated ground water that needs to be purified. ALSO AVAILABLE IN 100L, 250L, 1000L, 2000L, 5000L. & 10000L MODELS. Alternagy is a one-stop online shopping superstore selling go green products for every home, office or business. We’ll help you live a greener lifestyle and reduce your carbon footprint through the products you use on a regular basis. Our goal is to offer go green products we all use every day at home and at work that are kinder on the environment. So to answer the question “How can we go Green“, the answer is simple. You can start shopping for the finest Go Green products for your home, right here at ALTERNAGY.